‘Naipes Donald’, children’s miniature Spanish-suited Walt Disney playing cards, c.1990, produced anonymously except for the inscription "©WDP" on the box (Walt Disney Productions). 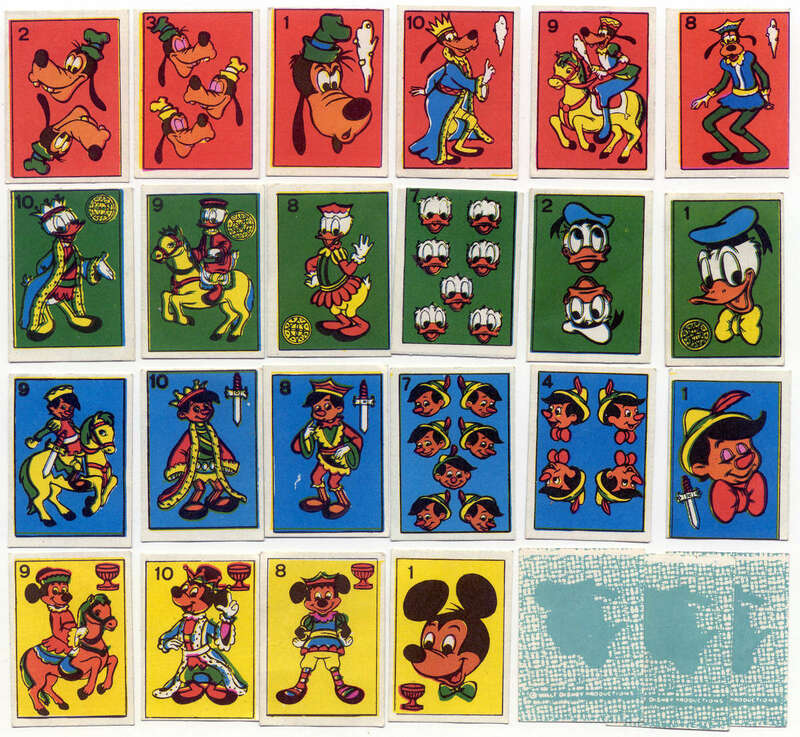 40 cards, numbered 1 to 10 in each suit, featuring Goofy, Donald Duck, Pinocchio and Mickey Mouse. The cards are printed on thin card and measure 32 x 44 mms.